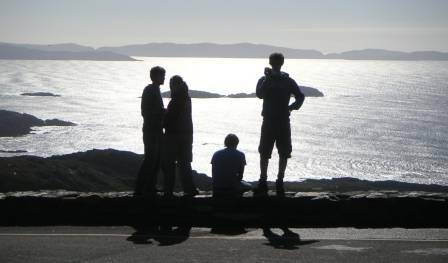 as the quickest and cheapest way of visiting County Kerry, Ireland. For air travel to Ireland from all other locations click here. 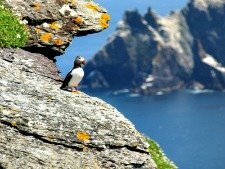 My first visit to the West coast of Ireland started out with a cheap flight to Kerry. My Mum and Dad had always come back with great stories about stunning beach walks and late nights sipping Guiness and listening to traditional Irish music. So in 2007 when I saw a cheap Ryanair flight from Stansted to Kerry I booked it straight away. I remember feeling very happy with myself as my train ticket across London was the most expensive leg of my journey!! The flight to Kerry was blissfully short – just an hour and ten minutes. Baggage collection took five minutes as the airport is tiny and from there it was less than twenty minutes in the hire car from the airport to Killarney. Within just over four hours I had travelled the best part of 500 miles from a crowded, noisy tube in central London to a charming and cosy pub in Killarney serving excellent Guinness. Killarney is Ireland’s most famous tourist town. 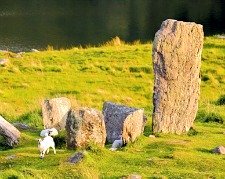 It sits at the base of the Macgillycuddy’s Reeks mountain district and at the start of an incredible coastal drive known as the Ring of Kerry. 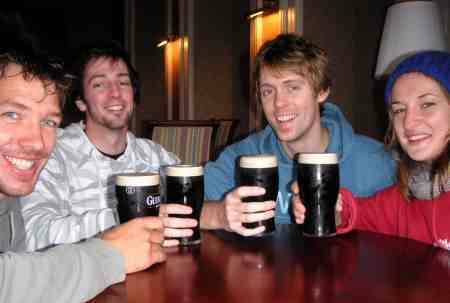 The ease of my journey shocked me as I relaxed against the bar sipping my second pint of Guiness. This was nothing like the mad rush out of London that I was used to when trying to escape down to Cornwall or Pembrokeshire for long weekends with friends. Often followed by long delays due to road works on the M4 or tail backs behind caravans on the A303! If this scenario rings a bell then I definitely recommend a short break to County Kerry. Flights from Stansted to Kerry run every Monday, Wednesday, Friday and Sunday. Or if London Luton is closer then flights run daily. Car hire at Kerry airport is simple to arrange and there is accommodation in Kerry to suite all budgets. 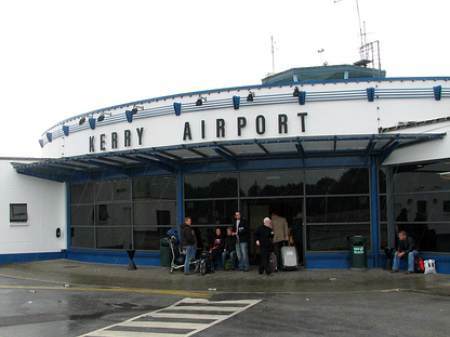 Flights to Kerry from Dublin also run daily. So there’s definitely no excuse not to fly down to the Kingdom for a round of golf or to enjoy the ‘craic’ when Munster play Leinster!